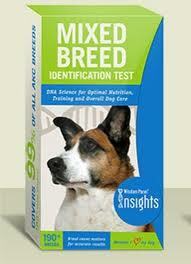 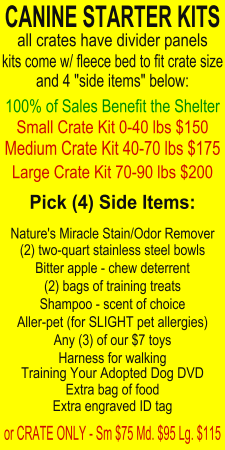 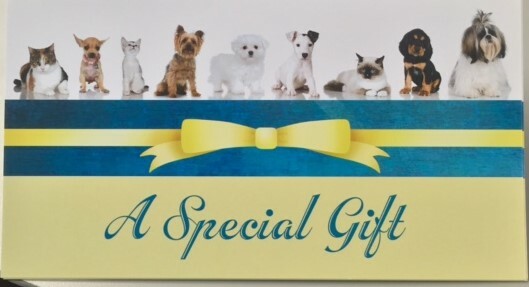 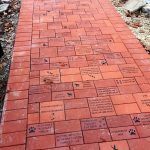 Dog and cat supplies – we’ve got walls full of pet supplies – goodies and treats! 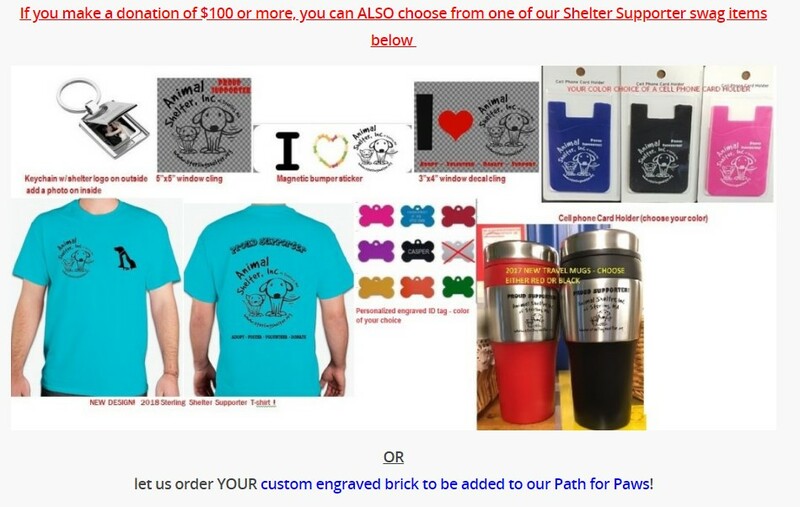 Sterling Shelter Supporter Swag – bumper stickers – window decals – travel mugs – key-chains – t-shirts – and more! 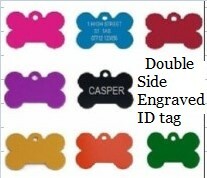 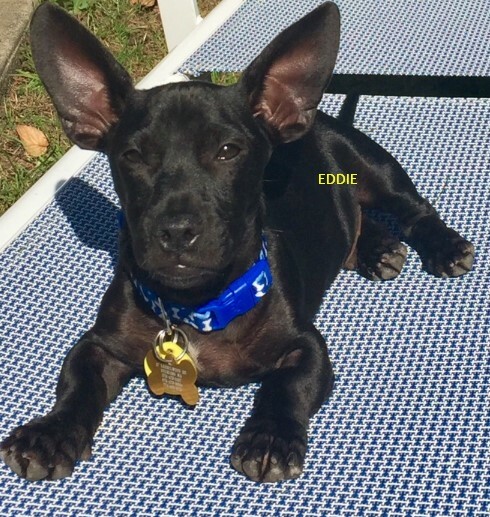 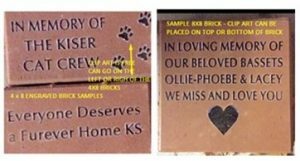 Custom Engraved ID tag – every pet should have one! 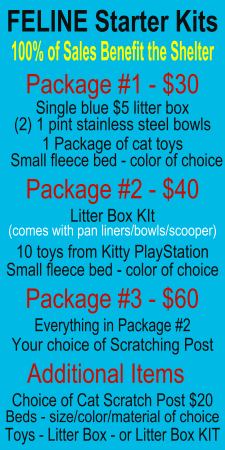 $10 for 1 or $15 for 2!